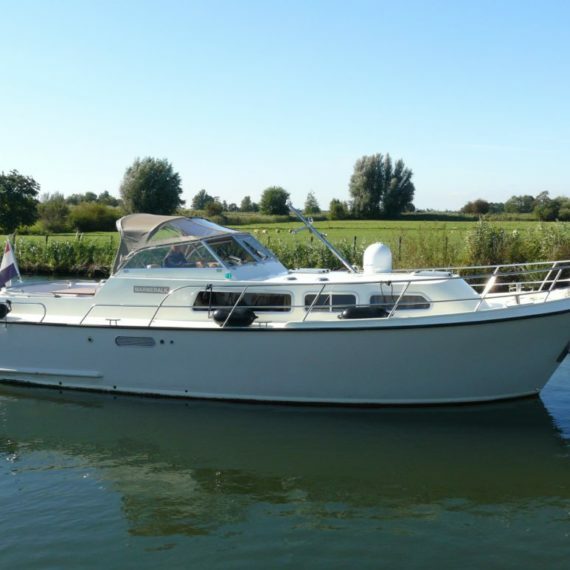 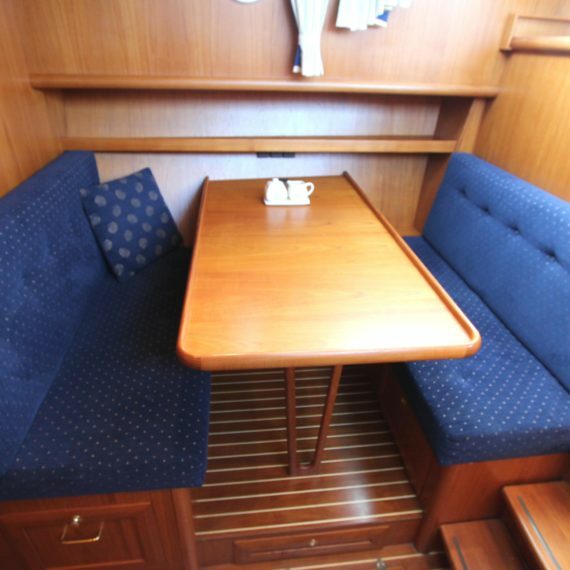 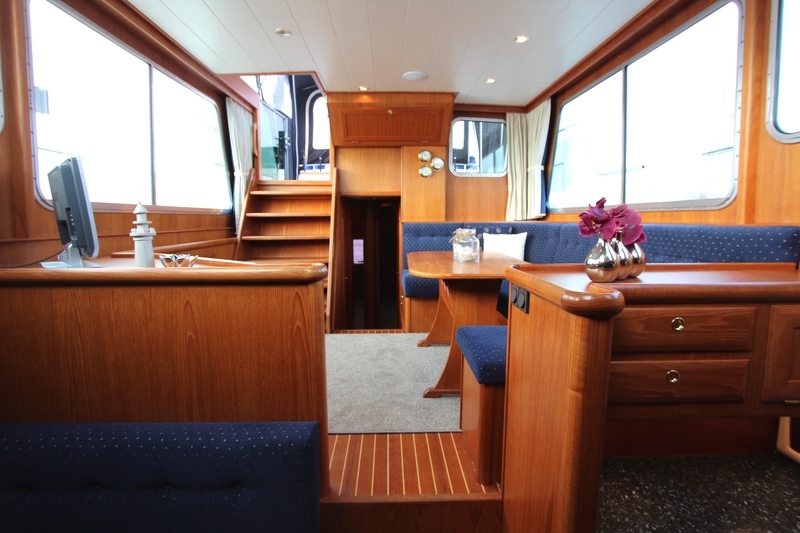 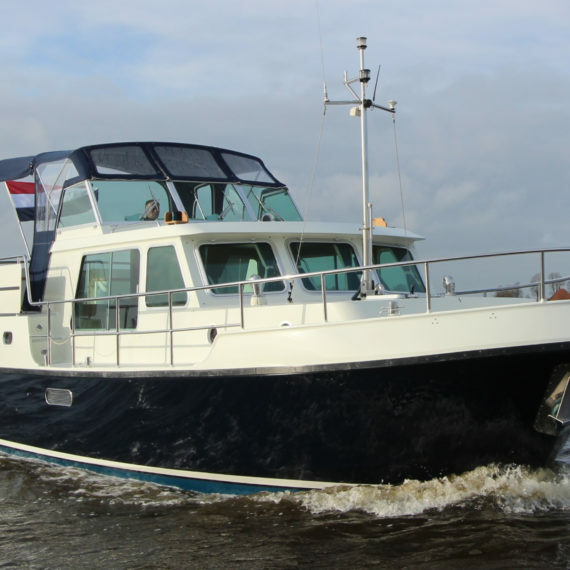 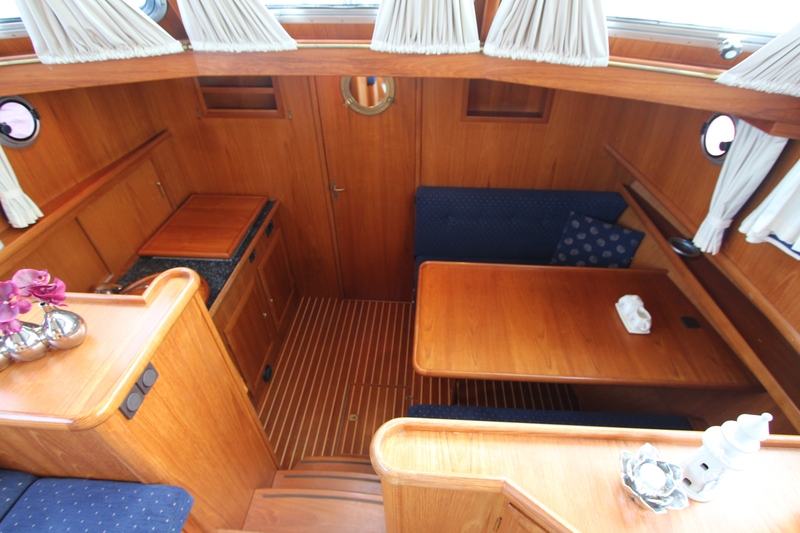 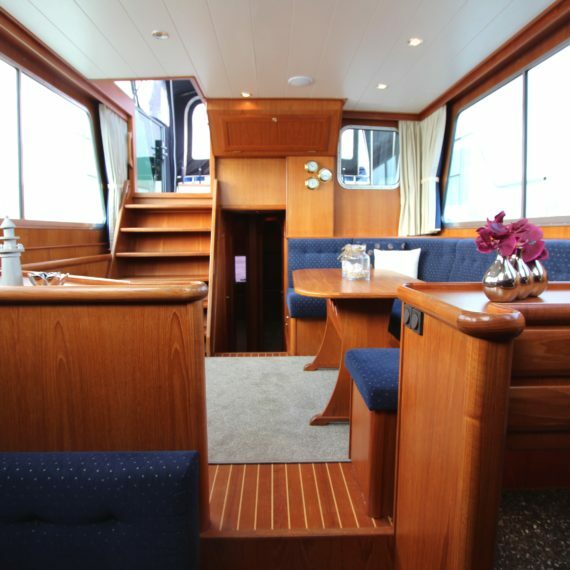 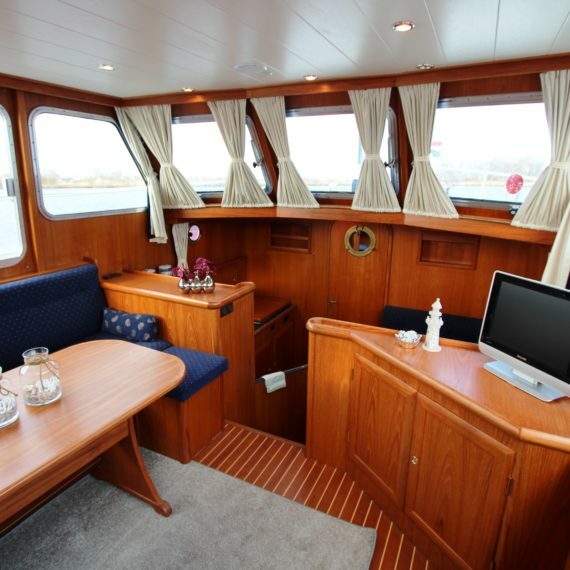 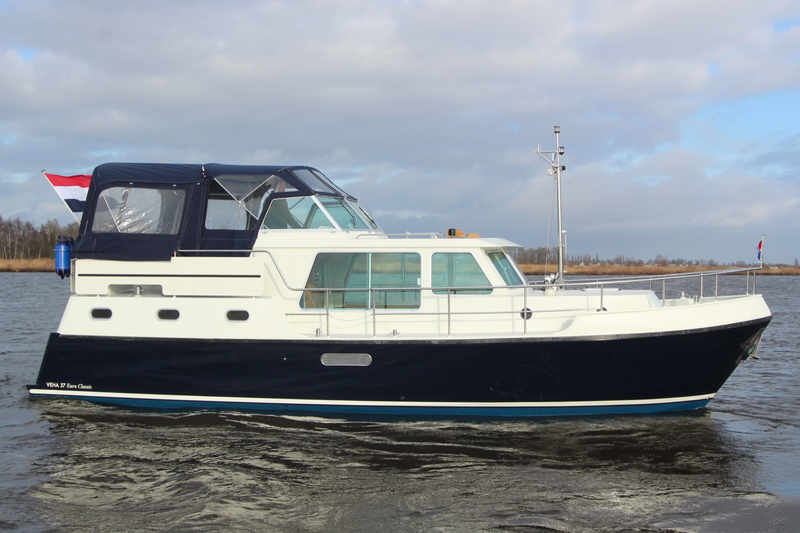 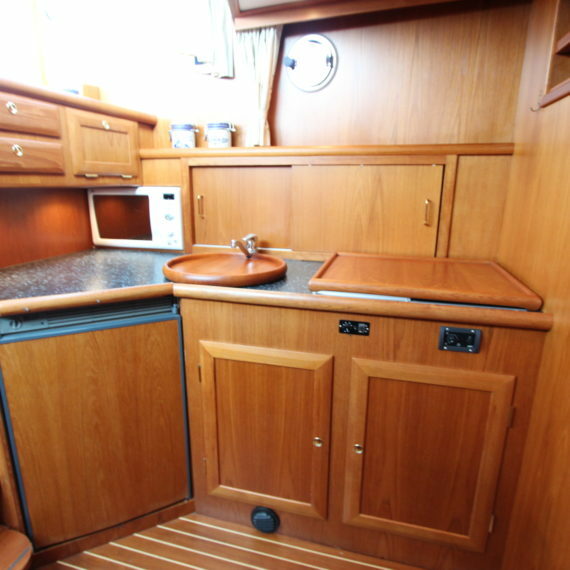 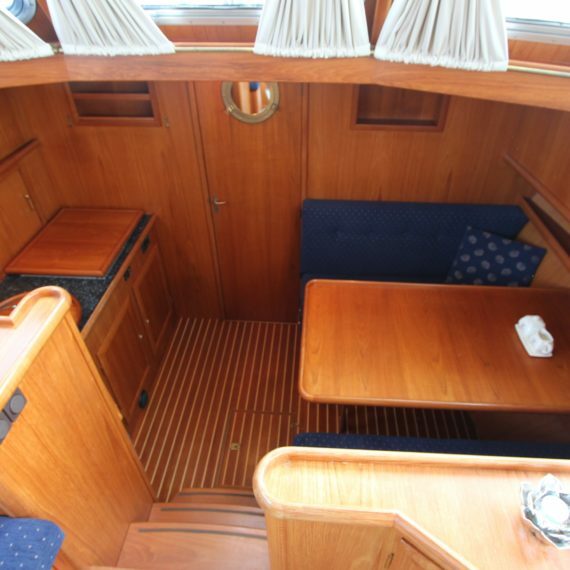 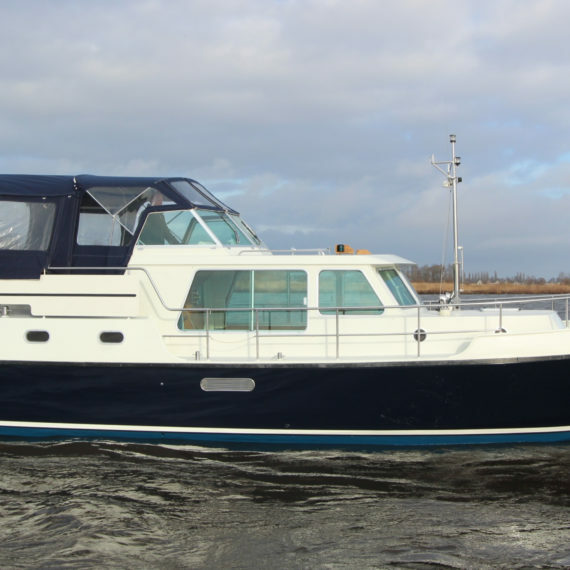 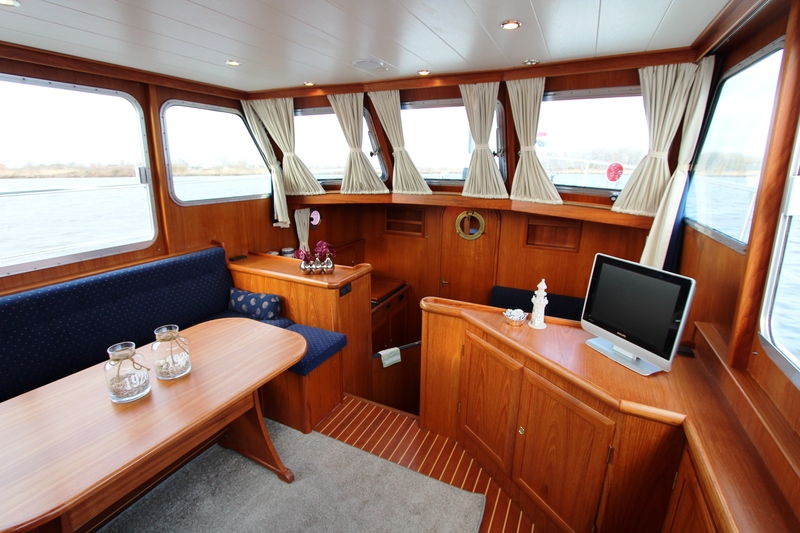 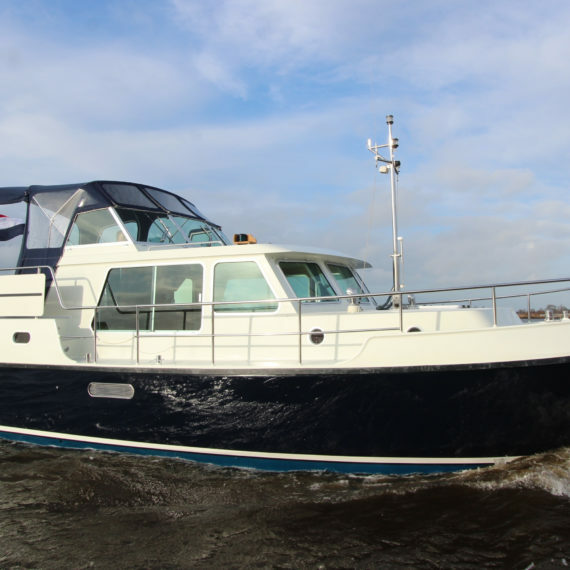 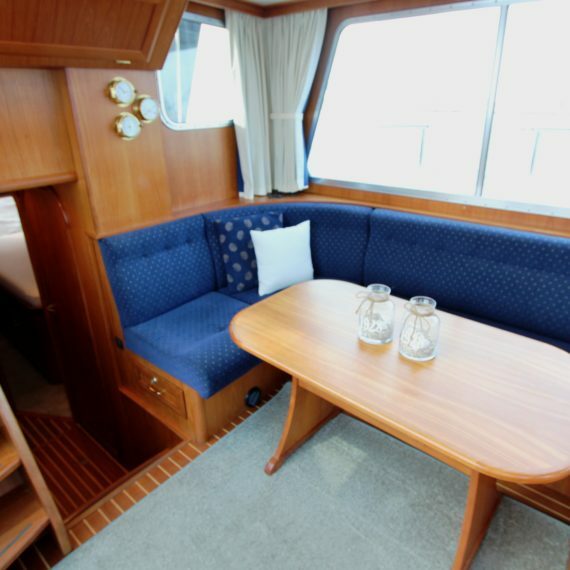 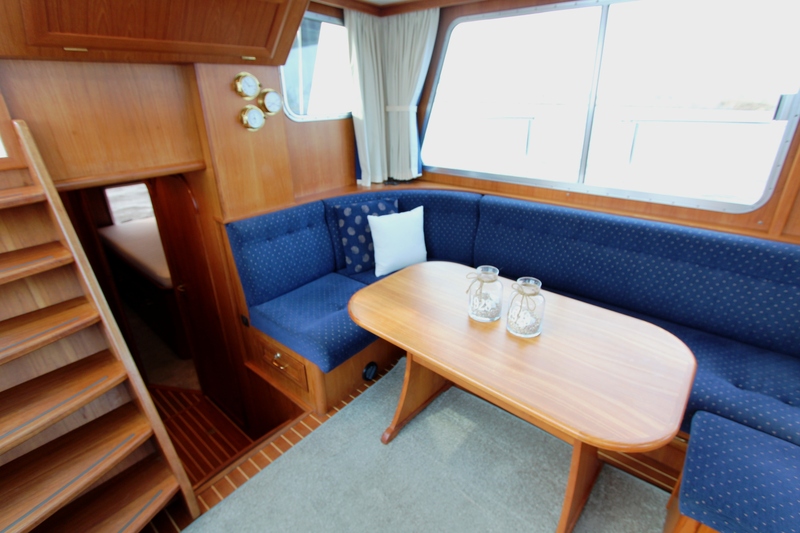 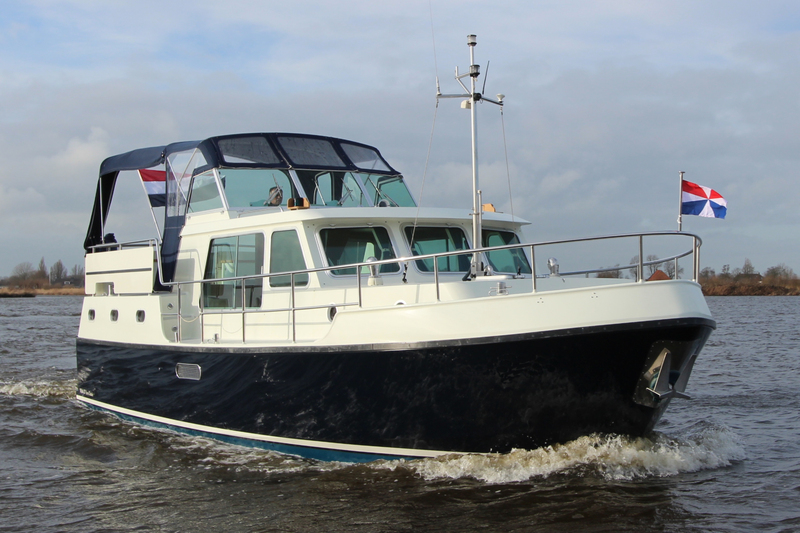 The Veha euroclassic is a robust motor cruiser which cruises marvellously. 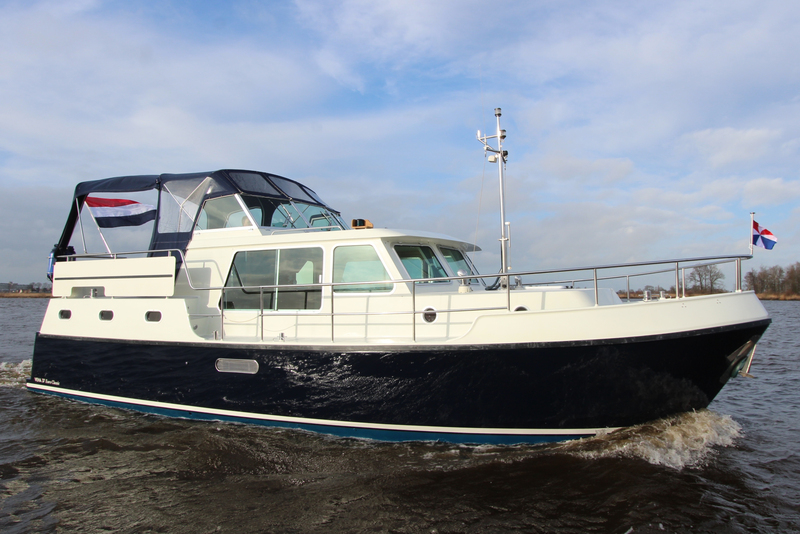 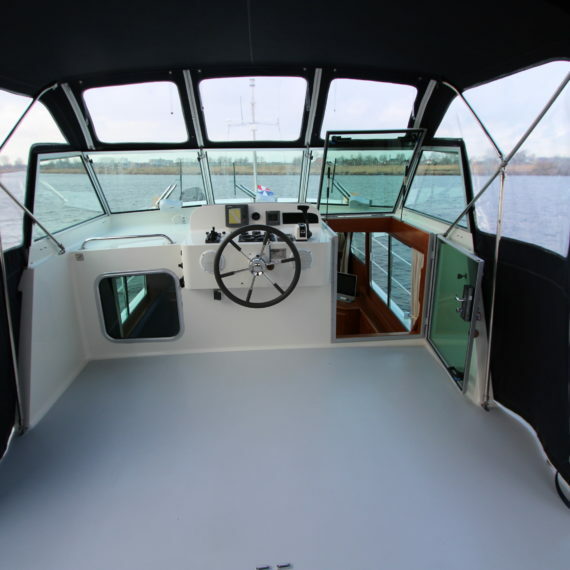 The ship is easy to manoeuvre thanks to the smooth 145 pk Volvo Penta diesel, and the bow and stern thrusters. 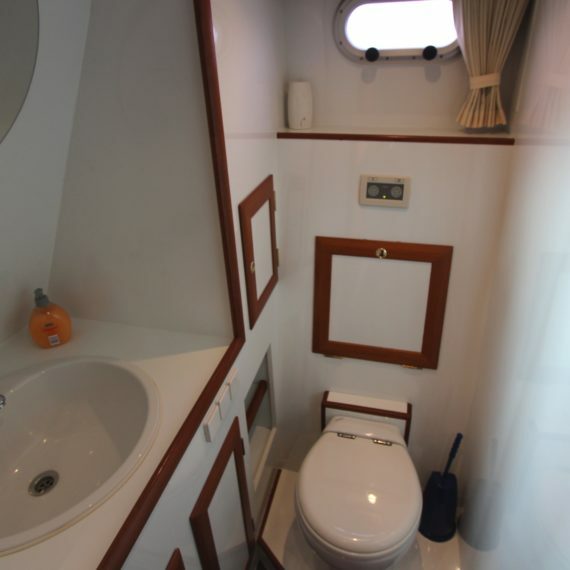 Because there are three separate cabins it is an ideal layout for a larger family or multiple couples. 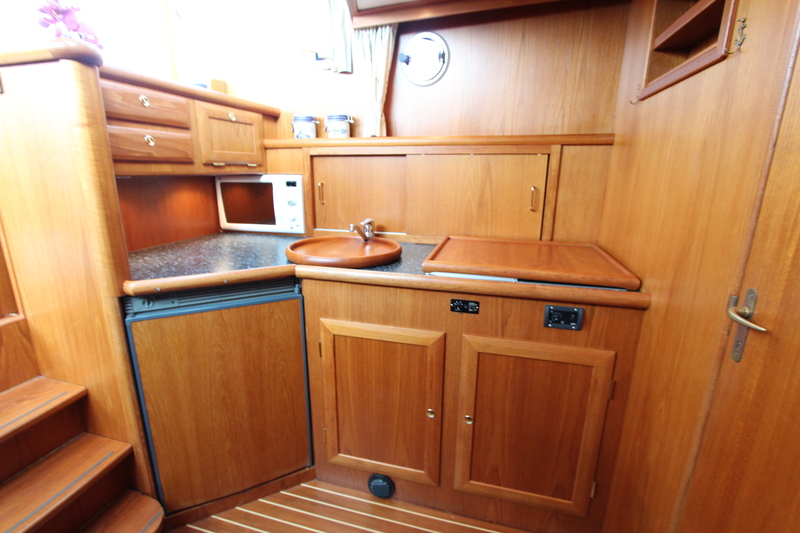 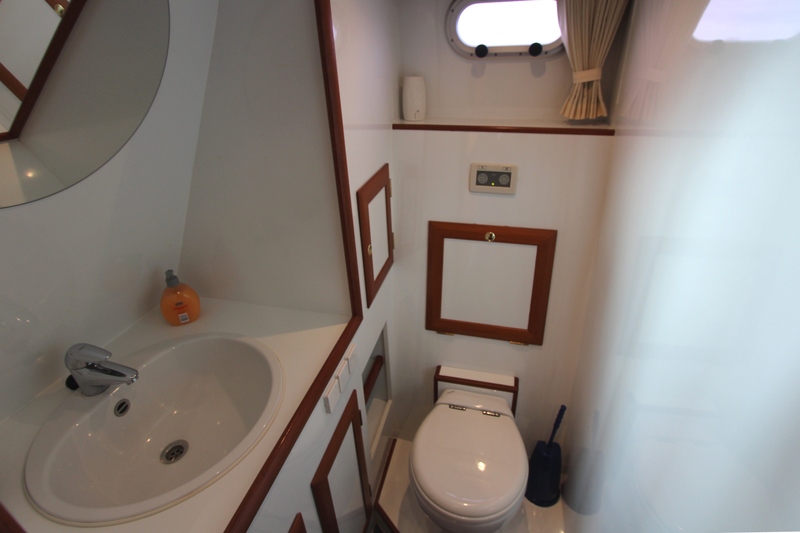 The galley is equipped with a complete inventory for 8 persons and among other things it has a four burner gas cooker, coffee machine and fridge. 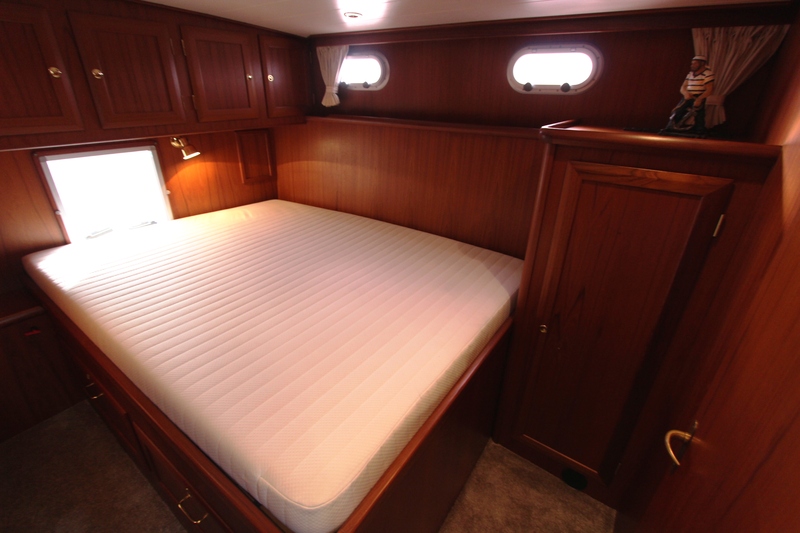 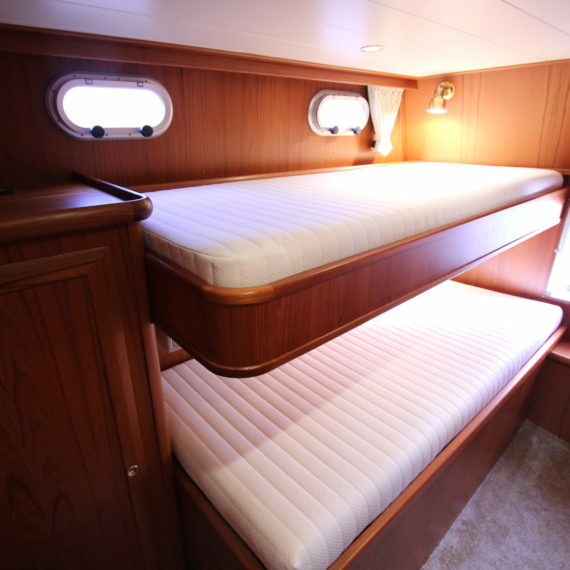 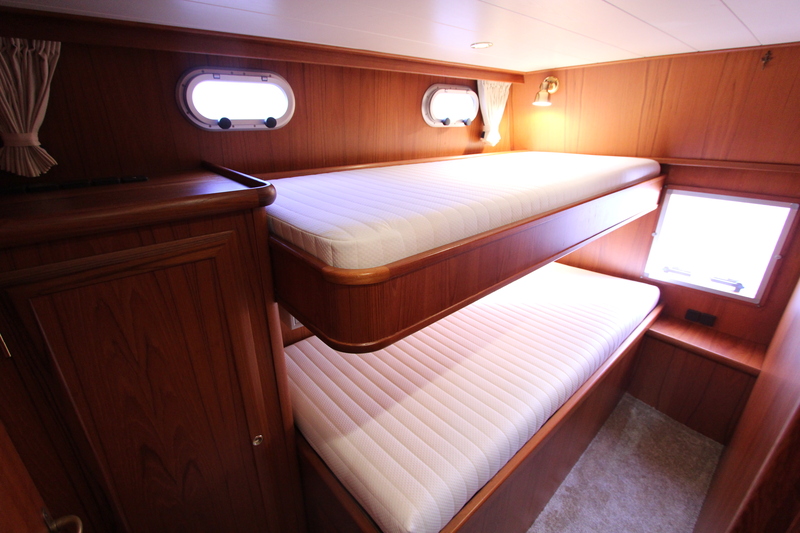 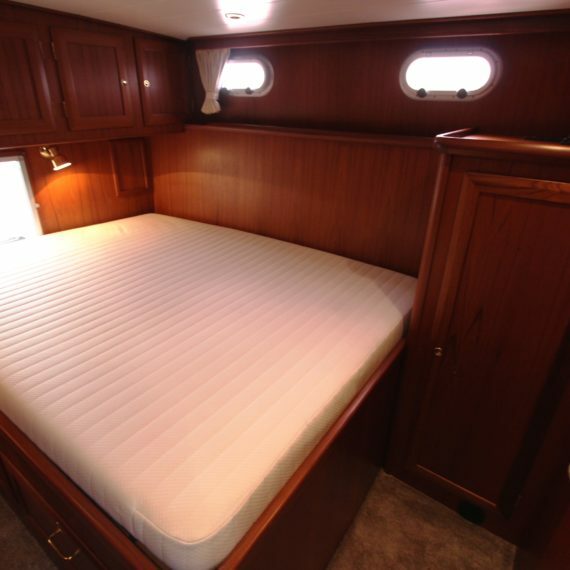 In the rear cabin the beds provide extensive cupboard space. 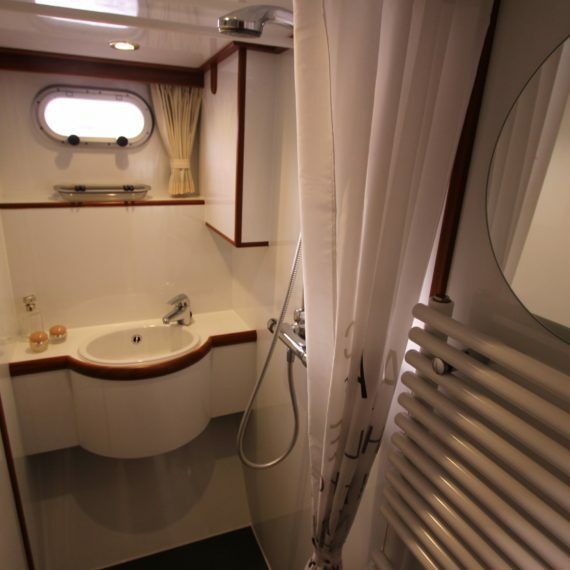 The shower and toilet are separate and are generously fitted out. 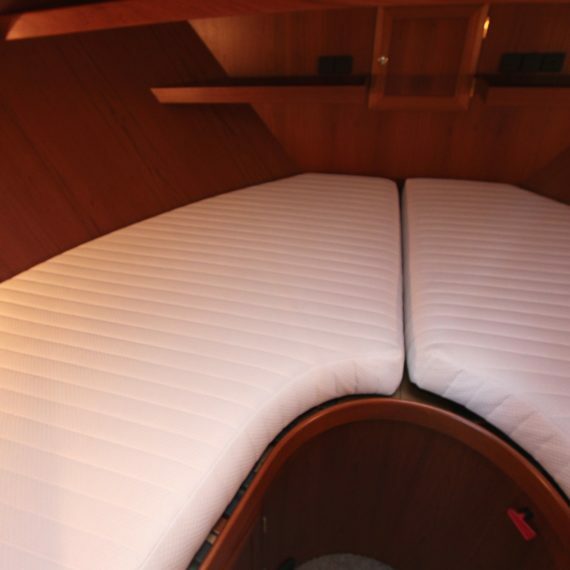 All the wood work is constructed in beautiful solid curved teak. 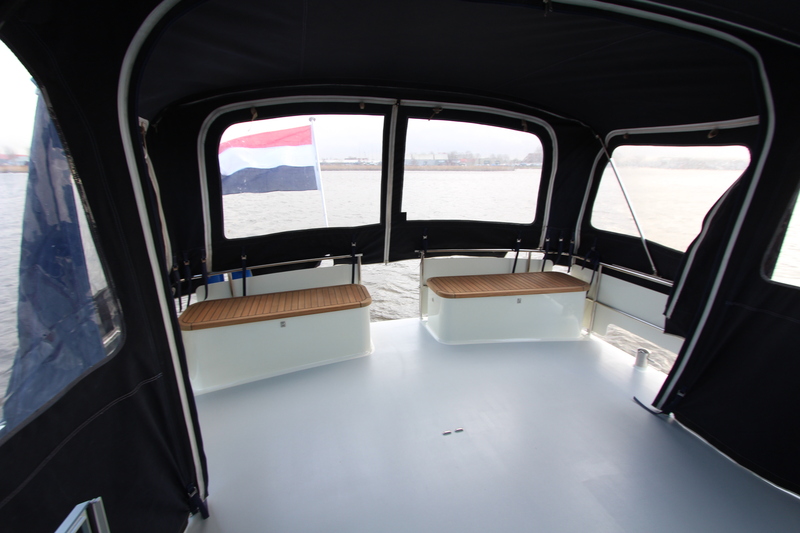 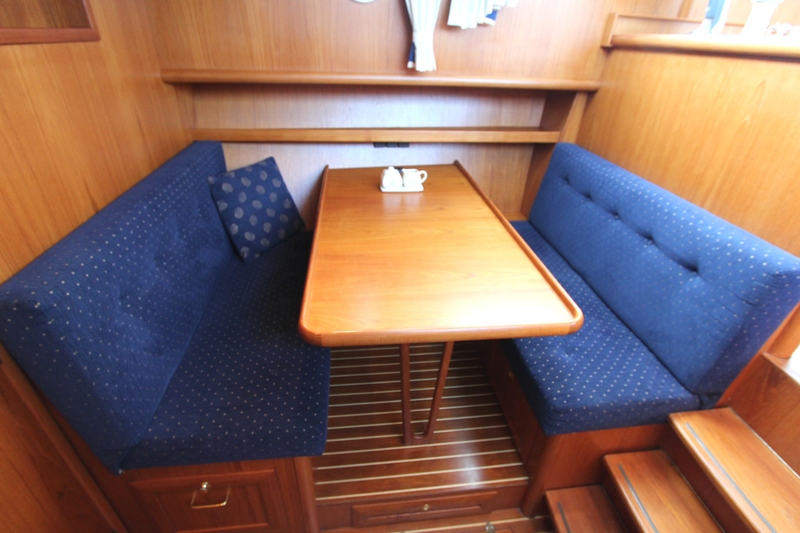 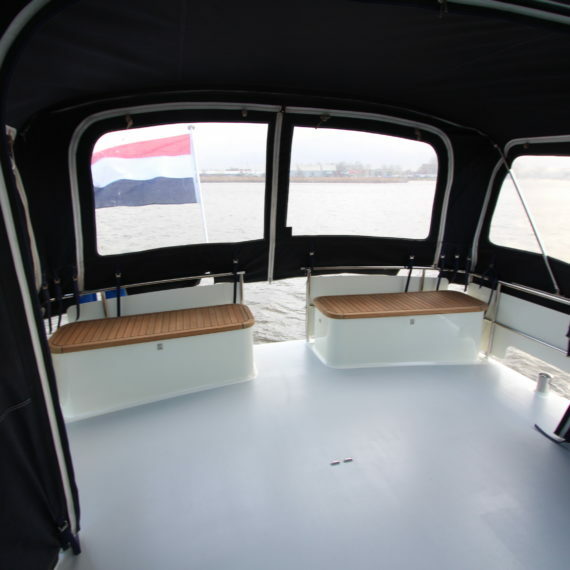 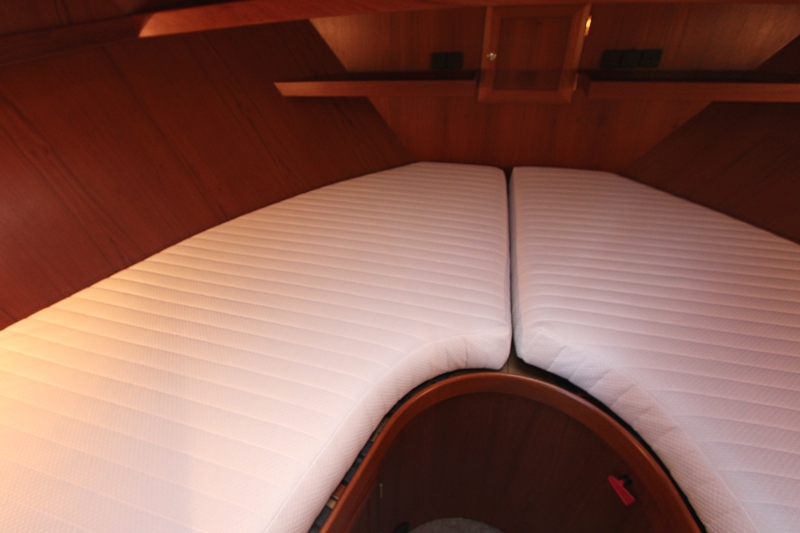 The sundeck with fixed seating is equipped with an XL – cabriolet tent. 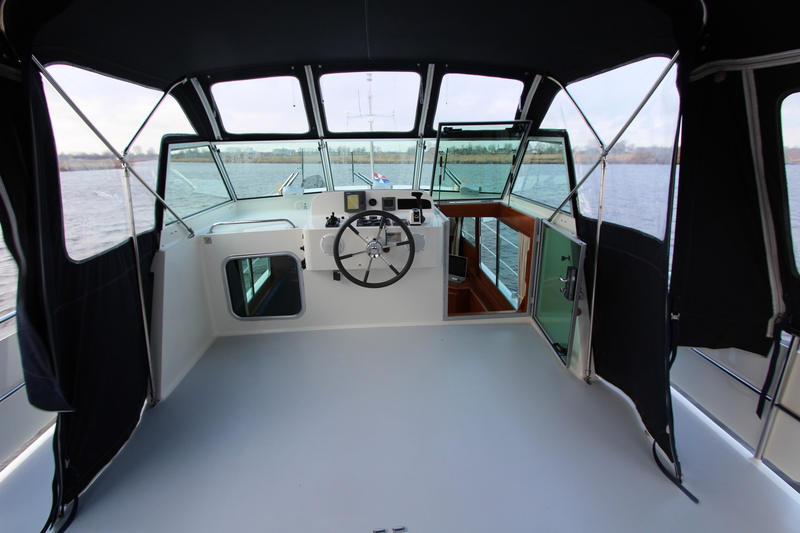 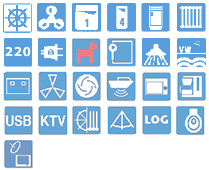 The midship steering position has many extras, such as a GPS, chart plotter and auto helm for open water. 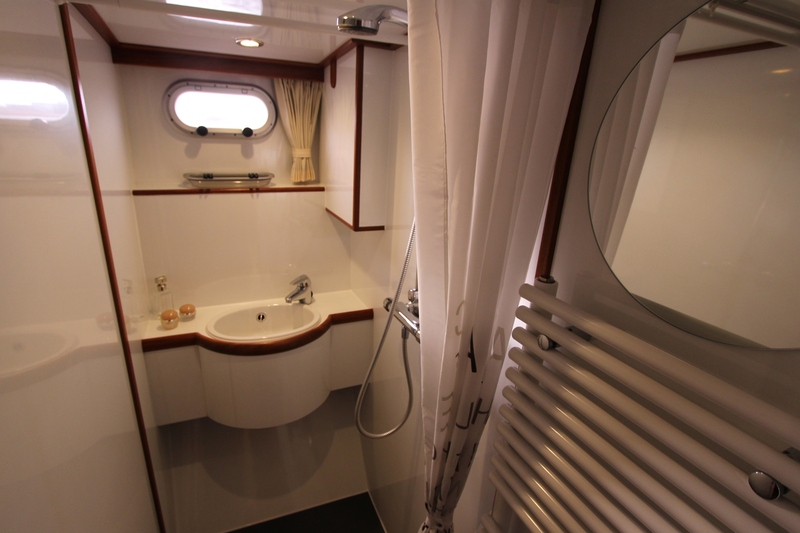 The rear bathing platform is equipped with a swimming ladder and outdoor shower.